In Greenwood, Mississippi, Jerry Smith serves as the Road Manager for Leflore County, overseeing all county road maintenance across districts which cover over 600 square miles. The Road Department has 39 employees, including five Road Foremen who each have their own crew. Smith was born in Leflore County and has lived there his entire life; he has, in fact, spent his whole working life with the county government. “I worked in the Summer Youth Program when I was in high school, and was hired by the county right after graduation,” he recalls. “I started out operating a tractor, clipping grass, then moved on to running an excavator. 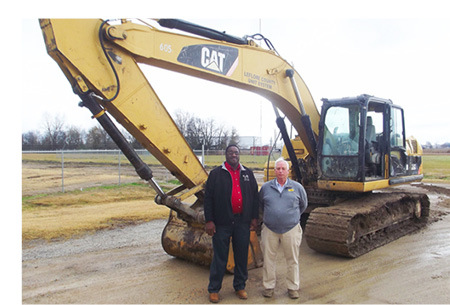 Then I was a motor grader operator for eight years, and did driving training for the CDL (Commercial Driver’s License).” Smith has now been with the County for 37 years; he became a Road Foreman in 1995 and was named Road Manager in 2000. The Leflore County Road Department is responsible for all maintenance of county roads, from grass clipping and roadbed stabilizing to ditching and bridge maintenance. “Our main job is the high-traffic roads – the commuter roads and farm equipment roads,” Smith explains. “We do everything necessary to keep them maintained. In the winter, when there’s ice on the bridges, we have to take care of that, too. 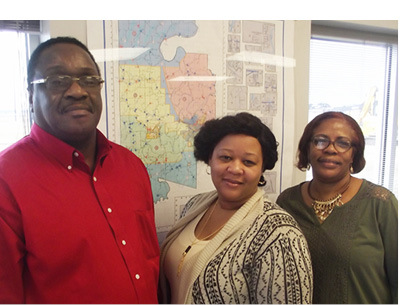 Two department secretaries, Tanya Gomillia and Mary Peoples, handle the wide variety of customer concerns that come into the Road Department. Smith says that some issues can be solved right from his office, depending on the complexity and cost, while others require Board approval. It is worth noting that the Leflore County Road Department utilizes a large number of retirees to add to their crews as needed. As Smith relates, “Retirees are good reliable workers. They already know how to operate equipment, plus it’s difficult to get new operators. During the winter, we set up a schedule to train our retirees on newer equipment. Smith says his department’s operations are often challenged by issues ranging from weather to the types of equipment that travel Leflore County roads. “Over the past three years, the rainy seasons have been above average; we’ve had to deal with roads that are like gumbo. One year we had an ice storm followed by a flood – every man had to stay on the job, and every piece of equipment, too. “Beaver dams can also be a big problem. We have to keep water flowing, or there are major flooding issues in our subdivisions. Smith’s equipment fleet includes a range of machines, including seven Cat 12M3 motor graders which are among the department’s most recent purchases, and two older 140H motor graders. 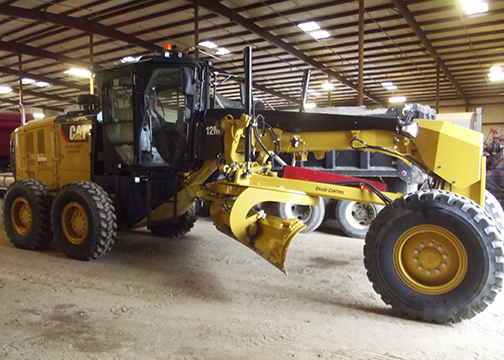 Other Cat machines in the fleet include a D5G XL dozer, a 320D excavator, and a CB7 asphalt roller. According to Smith, their Cat machines are utilized several days each week. With so many roads to maintain, both in Greenwood (the county seat) and the surrounding rural areas of Leflore County, it would seem that Jerry Smith has a full schedule. However, he also serves as a part-time deputy sheriff and as an alderman for the adjoining town of Sidon, and farms 300 acres of soybeans!